There are some business owners stuck in limbo within the Google+ Local verification process. This is not a new bug, but there are many still with this problem. 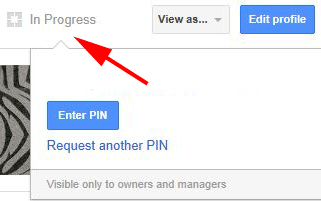 As discussed at Google Business Help forums, business owners try to verify their businesses in Google+ Local but it just stays in process forever. My Google + page is not appearing but it has been verified. The status up the top says 'In progress'. This has been like that for over a month now. Can you please get back to me urgently. It seems like these pages are affected by an issue where the pages get stuck in the verification process. The team's aware and working on a solution. Jade must have the most depressing job at Google. All she does is respond to bugs all day.